Extreme Grass Growing is a casual game of chance that you can play with your friends. 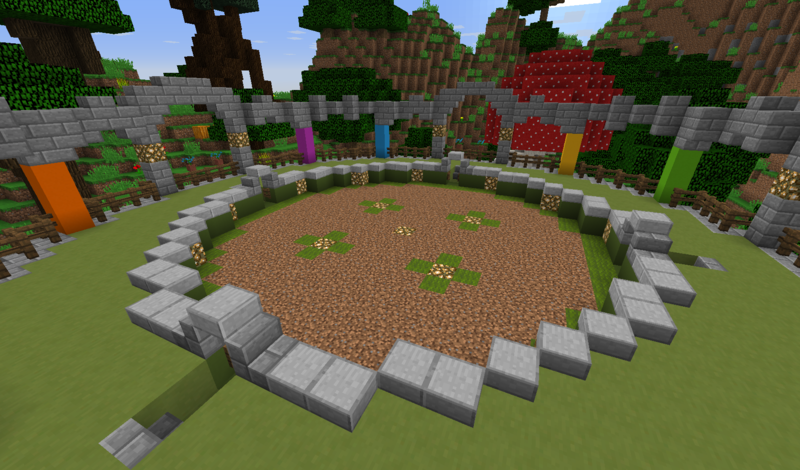 Unlike other minigames, Extreme Grass Growing is only available during special Staff-hosted events, so don’t miss out! /EGG – Teleport to the Extreme Grass Growing arena. Place a sign on a dirt block inside of the arena, and write your name on it. After all signs have been placed, grass blocks will begin spawning randomly. This grass will spread to adjacent dirt. Once the dirt block your sign is on gets covered in grass, you’re out. The last player whose sign remains on a dirt block wins a prize.